p>The chargeback process can be an arduous one for merchants that accept credit cards online. Many don#039;t have the time to properly address refund requests from consumers, so they suffer fees and risk losing their merchant account if their chargeback rate is too high. Some new chargeback management systems produce an electronic record of all the information required to win a chargeback dispute, including authorization data and terms and conditions agreed to be the consumer. Most systems widely used today do not provide merchants with enough information to win a such a case. Many merchants outsource chargeback management because of the difficulty in maintaining the necessary documentation and responding quickly to requests for paperwork from the cardholder#039;s bank. 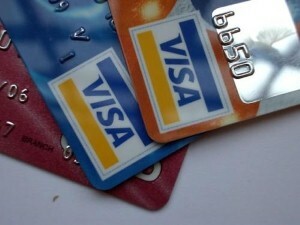 Visa requires merchants to store sales drafts for five years, while MasterCard requires 18 months, according to a press release. CyberSource cites merchants not responding to a sales draft request as the most common reason they lose a chargeback dispute. Considering chargeback fees are usually $25-30, they can accumulate quickly and do significant harm to an e-commerce business. The most common reasons consumers request a chargeback are: an unapproved transaction, dissatisfaction with the product or the time it took to receive the product, or being mislead by advertising. If chargeback fees are racking up, online merchants should reevaluate their transaction processes and build better communication channels with customers. A dissatisfied customer may contact a merchant directly to resolve an issue before beginning the chargeback process. Merchants should try to resolve problems before they reach the this phase, as it pleases customers more, and avoids the time and possible fees involved in a dispute.